As the weather cools down rats and mice start to look for somewhere warm and sheltered to live over the cooler months, taking shelter in our homes and businesses. Our hot and humid summer period is prime breeding time and that means a lot of rodents looking for a home! Be mindful of even the smallest gaps, a mouse can slip through a hole the size of a pencil! 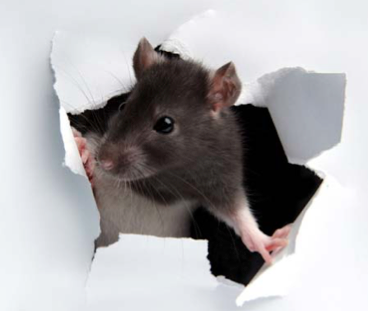 Rats can fit through a gap as small as your thumb, they are very crafty at gaining entry to your home. Black Rat (Rattus rattus), the Brown Rat (Rattus norvegicus) and House Mouse. The Brown Rat nests in dirt burrows and remains close to food supply in and around suburbia. The Black Rat is generally found in coastal and urban environments across Australia, They are incredibly agile and very good climbers. The house mouse nests indoors in area’s like garages or sheds but may also be found living outside. How to prevent and infestation? Vegetation control: either with herbicides or manual reduction. Harborage removal: clean-up of stored items inside or out. Exclusion: by closing entry holes or other building modification to stop them gaining entry. Sanitation: make sure no spilt food/feed items are left without being cleaned up in production or storage areas of premises.